Our sticker team is heading back out, and a fun way to encourage your fellow drivers! 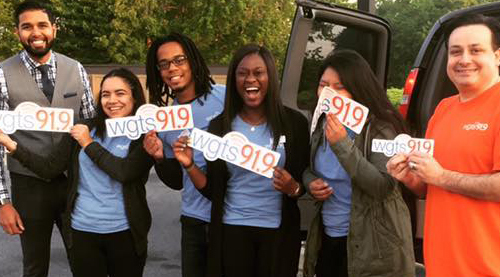 Drop by one of our area Sticker Stops to pick up your very own WGTS 91.9 bumper sticker. We'll also share some goodies, and give you a chance to win some prizes! We'll be inside the Walmart located at 3300 Crain Hwy, Bowie MD 20716 from 3-7pm. We'd love to say "Hi!"